Special thanks to Tom Hall (drums) and Guy Holloway (banjo) and Daisy for her encouragement and enthusiasm. also to our parents for their support. Dedicated to Cora Marie and my Grandfather, Robert R. Buck, Sr.
Calliope House / Through The Gates: I slowed down this beautiful Irish jig to create a 'drawing in' effect. Through the Gates, a tune by Russ Barenburg, one of my favourite guitar players. His music has had a great influence on my style. Connoughtman's Rambles / Kesh / Old Hag: These Irish fiddle jigs share a 'natural spontaneity' thanks to the wonderful musical connection between guitarist October Browne and myself. Waltzing Matilda / Tennessee Waltz: A favourite of JK's! Chris, this is for you too... keep sailing and smiling. Tennessee Waltz, a favourite of mine, played especially for all my country music fans. Cajun Cindy* / Inch Along: I just had to have some fun! Thanks for the great guitar back-up arrangement on this one JK. Inch along - Andrew Russell, Ross Butineau, my sister Wendy Phillips and myself performed this piece with both the Thunder Bay Symphony and Symphony Nova Scotia. Thanks to Andrew for the great arrangement to this traditional southern fiddle tune. Your talent is incredible and your musical contributions will always be remembered. Imelda Roland: ...reminds me of a beautiful Movie Soundtrack. Mrs. Jamieson's / Jack Thompson* / Foxhunters: We all have very difficult times in our lives, this selection of tunes reflects a time, based on feelings of loneliness, grief, hope and courage. Brisk Bob / Jenny's Chickens: Strathspey and Reel... with a 'little' stepdance included. Callin' Mo Ruinsa / Maidons Prayer: JK was so inspired by John Allan Cameron's version of this song, he lent me the tape. I soon realized why - followed by a beautiful tune familiar to most old tyme fiddlers, arranged with some great guitar work by JK. To all the people involved in this personal project. Your creative and technical contributions made all the difference! To all the people indirectly involved in this project but whose support are greatly needed and appreciated... especially to Sheila and Laura Vipond, Cora and Jake, Good friends... Jim Hanmore, (Back Porch Music), Cheri, Yvonne, and my brother-in-law Don. Also to Bruce Murray, a great supporter of Canadian Old Tyme Fiddle. To Ross... Your down to earth presence keeps my feet on the ground. To my father, William Forrest 'Bill' Thompson who enabled me to emotionally capture the spirit of a beautiful slow melody and to JK Gulley for encouraging me to pull those emotions out on my instrument, and to you... the fans, for allowing me to share this music with you. This recording is dedicated to the memory of John "Jack" Thompson, a wonderful uncle who followed and supported me on so many musical adventures. 1. McFadden's / The Wild Irishman - McFadden's was first heard on an Irish album from one of my students. The album is Glackin's, Cool ar an bhfidil le Paddy Glackin. The Wild Irishman was found in the book by Sean Keane, Fifty Fiddle Solos. 2. Road To The Isle (Grandpa's Favourite) - This was one of the first tunes I remember my grandfather Robert Buck playing on his fiddle. 3. Morning Dew - This traditional tune has been recorded by many artists. I was inspired to play the tune after hearing fiddle player Martin Hayes perform it on his recording with guitarist Dennis Cahill. 5. Scots Reels: Cairin O'T / Lexy McAskill - First heard on the album by John Cunningham, Fairwarning. 6. Money Musk: Reel du pôteau blanc / Money Musk - I learned the Reel du pôteau blanc off a 1976 recording by Jean Carignan. Money Musk was also on that same album. But, I remember listening to it on many old time Canadian fiddle albums back when I first started step dancing long before I had a fiddle in my hands! 7. The Blue Grass: Lost Indian / Red Haired Boy / Arkansas Traveller / Bill Cheatham - I've always enjoyed a good bluegrass tune. Heading out to a bluegrass festival and playing a tune around the campfire with some great pickers is one of life's finest moments!! Most of these tunes were picked up at festivals but I got some guidance from listening to some of my favorite recordings of players such as Kenny Baker, Byron Berline, Vassar Clements, Graham Townsend and all those hundreds of other fabulous players in my collection of Bluegrass Cassettes and CD's. All these great tunes can also be found in David Brody's The Fiddler's Fakebook. 8. Furrowed Fields: Irish Clog, Jig & Reel - These pieces were given to me on a collection of tapes from friends over the years. The artists or names of tunes were unknown but I enjoyed these selections so much I just had to record them! 9. Rolling In the Ryegrass: Humours of Tulla / Rolling In The Ryegrass / Gravel Walks - Rolling in the Ryegrass and Humours of Tulla came from two sources: The Irish Fiddle Book by Matt Granitch and also from recordings of Irish fiddler Kevin Burke. Gravel Walks is also from Glackin's recording Cool ar an bhfidil le Paddy Glackin. 10. Country Waltzes: Faded Love / Country Waltz / Poor Girl's Waltz: J.K. and I tried Faded Love in 3/4 timing. It blends well with two of my favorite Old Time Canadian Waltzes, some more tunes my grandfather and dI shared together. 11. Buck Fever Rag - When I was a child my two sisters and I often appeared as special step dance guests across the Ottawa Valley with the Ottawa Valley Melodiers. Reg Hill was the fiddle player. He released many albums with original compositions, The Buck Fever Rag being one of my favourites. 12. Olive Branch: Miss MacLeod's Reel / Fairy Dance / Olive Branch: I first heard these tunes played on the album The Cape Breton Symphony Fiddle. I have had this album for a long, long time and still like these tunes! 12. The Bride's Garden: Miss Marianne's Strathspey & Reel / Mason's Apron: When I play this selection it seems to fill me with new emotion, a sense of innocence, beauty but also some mystery. It reminds me of two people uniting thus the name, The Bride's Garden. A special note of thanks for musical contributions to Andrew Russell and Ross Butineau who helped to develop the original arrangements to Buck Fever Rag and Cairin O'T / Lexy McAskill. I especially want to thank John, Craig, Lance and Keith who took part in this project with me. They have a way of sharing their musical talents and themselves which is often very rare in any profession. They gave more than 100% on this project and for that I am very grateful. Thanks also to Brent and to my husband Ross who patiently follow me across the country setting up sound systems and back me up on all these great tunes. Your contributions and time will always be appreciated. To all my friends and all the people who continue to support me and believe in me more than I believe in myself at times. You know who you are. I thank God for bringing you into my life. Music brings hearts closer together and gives everyone something to share. This recording is dedicated to my children Cora & Jake. Pursue your dreams. When I was 8 years old, Santa Claus left a violin under the Christmas Tree in our house in a little village of Dungannon, Ontario, where I grew up. Dungannon is located in a farming community six miles west of Port Albert Beach and the sandy shores of Beautiful Lake Huron. For four and a half years Frank Schubert, my teacher, guided my fingers up and down the strings of the violin. In 1962, I found my way to the North American Old Time Fiddling Contest at Shelburne, Ontario. I immediately lost my heart to old time fiddling! In 1967, 1969 and 1970, I was in the Ladies Championship Class along with other Open Competitions. In 1971, I entered the Championship Open Class in Shelburne and placed in the top ten fiddlers. Since these years of competition, I have composed some tunes and decided to make an album. One of the tunes, the Guelph C.M.C. Centennial Cup Polka is dedicated to the memory of Paul Fendley of Georgetown. Paul was a fine young hockey player who lost his life in the game that won his team the Centennial Cup this year. In helping to make this record possible a very special thank you is due to Mr Earl Heywood, Country and Western recording artist of CKNX in Wingham. Also, to my husband Pat, many thanks for his hours of patience during my practising. Many thanks also to the back-up group, who hail from such towns as Bell Island, Newfoundland - Granby, Quebec and Fergus, Ontario. last, but not least, a great big thank you to my dear mother who never gives up on me and who is my greatest fan. I only hope that those who hear this album will get as much pleasure from it as we had in producing it. The fine fiddling on this album has been carefully presented as a small tribute to our great Canadian heritage of old time music. I would like to wish Eleanor every success in her newest venture. Since the early age of nine, I have had the pleasure of listening to a great many old-time fiddlers and I feel that Eleanor has more potential than anyone to whom I’ve ever listened. She was encouraged by her mother to enter the fiddling contest at Shelburne, the largest folk festival of its kind in the world. She first won the Ladies Class there in 1967, then in ’69 and ’70. In 1971, ’72 and ’73, she placed among the top ten contestants in the Open Class in Shelburne, coming 4th in 1973. These can be considered noteworthy achievements, as she is the only woman to have ever done this. She has also captured many other prizes in various fiddling contests. The Jewel Waltz, named after her sister. You will hear for yourself, in the tunes on this album, Eleanor’s love for old-time fiddling played in the true traditional Canadian style. Support old-time fiddling! You might think that an old tyme fiddler and a woman at that, would be an aged grandmother sitting in a rocking chair on a porch of a century old Ontario homestead. Not so. Eleanor is a beautiful young woman who in her thirty two short years, has captured the title in the Woman’s Championship class at the Shelburne International Fiddle Contest no less than four times! (1967-69-70-74). In 1975 she placed second in the male dominated Open Championship Class. Here you will find, in this her third solo album, a wealth of traditional Irish, Scottish, and French Canadian reels, jigs, clogs and polkas. In addition, Eleanor offers us her own lovely ‘Toronto Waltz’, one of the six original compositions that bear the mark of the old time traditions that shape her art. Eleanor now makes her home in Toronto with her husband the nationally known old time fiddle recording artist, Graham Townsend and fourteen year old daughter, Cathy and year old son, Graham Fred Jr, along with her mother (and staunch supporter) Mrs Fran Reed. Since her marriage, Eleanor has appeared with Graham and his father, Fred Townsend (official caller for the late great Don Messer) on the first Townsend family album ‘The Great Canadian Fiddle’. The Great Canadian Fiddle is the first album to present the major regional and ethnic styles of the Canadian fiddle. This music of our founding peoples lives today throughout rural Canada. You can hear it at fiddle contests and jamborees, from Newfoundland to British Columbia. In Ontario alone, there are at least fifty contests besides the internationally famous marathon at Shelburne. Go to one and you’ll be up all night, what with the fiddlers jamming and swapping tunes, children and old timers stepdancing, and arguments raging round the camp ground over the merits and chances of the various contestants. And during the day your excitement will become almost unbearable as you watch your favourite struggle through the try-outs. Waltz, jig and reel, in that order, within three minutes, in a real old-tymey dance tempo and strictly in accordance with local tradition - that’s the job. Or go to a country dance, round or square. Watch the people weave beautiful shapes together, patterns of country courtesy and fellowship. Fall under the spell of the local caller. Meet a boy or a girl, not in the dark retreats of lonely drinkers, but in a place where the light and warmth of a whole community makes you feel welcome and totally at home. Nationwide: Bowing The Strings - is a foot stompin’ novelty showpiece, a favourite ‘opener’ for Canadian fiddlers from coast to coast. Written by Ned Landry of New Brunswick, this popular tune calls for a ‘down home’ style sliding notes, sawing bow and syncopated breaks called ‘backbowing.’ Eleanor says it reminds her of ‘a rooster on his way to the henhouse’. Western Plains: The Red River Jig (Métis, French - Indian) - In places like the Onion Lake Reserve, north of Lloydminster on the Alberta-Saskatchewan border, there lives a wild, rare hybrid of the French Canadian jig and Indian dance. The intermarriage of the French and Indian peoples echoes in the duet between the tom tom drone of the lower strings and the gay French melody. little known to the outside world, Métis fiddling is as free and energetic as the prairie winds - unrestrained by strict meter and standard tunings. Western Plains: Zaporozhets (Ukrainian) - What happens when a Ukrainian Cossack dance settles on the Canadian prairies? It becomes a simplified ‘polka.’ Its proud discipline is replaced by country fun, and its crisp notes are bent and accented by the easy spirit of Western freedom. Today, young Ukrainian Canadians are returning to the purer forms of their folk arts, according to Chester Kuc, founder of two of Alberta’s most famous Ukrainian dance ensembles, ‘Shumka’ and ‘Cheremosh’. In our country version of Zaporozhets, we feature the popular accordion as well as the fiddle. Zaparozhets is the name for anything that comes from Zaporzhye, a region in the Ukraine famous for its Cossack dancers. Northern Ontario: Lady of the Lake (breakdown) - In early times, country music of the American South couldn’t seem to get a foothold in the old, established border cultures of the Maritimes, Quebec and Southern Ontario, so it had to take a giant step to find a welcome in the bush towns of Northern Ontario. Around North Bay, Sudbury, Timmins and Porcupine, people lived like American mountaineers. This was the frontier, and life was open, rugged and joyous. They took naturally to the sawing bow, discordant harmonies, heavy beat, sliding ‘blue’ notes and frenetic banjo that the American road shows brought to them in the early twenties and thirties. Lady of the Lake shows this influence, but you can also hear in it French and Irish accents make the Northern Ontario style something very special. New Brunswick: Mouth Of The Tobique (Acadian Reel) - In sharp contrast to the fiddling styles, not only of Northern Ontario, but also of Quebec, the French-Canadian fiddle music of Acadia has almost no ornamentation, fancy bowing, double stops, sliding notes or irregular rhythms. It is simple, happy and innocent. Acadian fiddling is close to the style which the famous Don Messer made so popular that it set the standard for fiddle contests in many parts of Canada. But in pure Acadian fiddle tunes like Mouth of the Tobique, (a river in New Brunswick), you can sometimes hear a ‘wrong’ note - a sign that you are listening to a tune that may be as old as the modal folk melodies brought over from France when the Acadians moved to the New World in 1604. Nationwide: Dip and Dive to “The Rock Valley Jig” (square dance) - As played by the Townsends, The Rock Valley Jig illustrates the basic Canadian fiddle style established by Don Messer - clean, straight-ahead and neat as a well tended farm. Thanks to its clarity and down-to-earth simplicity, Don Messer’s music has become a common language for all Canadian fiddlers, whatever their different dialects. Quebec: The Hangman’s Reel - Reel du pendu - Once upon a time, the people of a small village in Quebec gathered to hang a terrible criminal. Like all Quebecois, they respected the law, but loved the fiddle. So they gave the man a chance. Handing him an out-of-tune violin, a village elder said, ‘If you can play a real old-time tune on this, you can save your neck.’ The doomed man accepted the challenge and improvised such a fine tune that the people forgave his crime, carried him off on their shoulders and celebrated the triumph of art over justice. The Hangman’s Reel is supposed to be the tune he played. The fiery joie de vivre of the Quebecois breaks out in the staccato bowing, irregular bar groupings and accents, brilliant ornamentation, the use of double stops and pizzicato. When he plays, the Quebecois fiddler often sits in a chair and accompanies himself with a kind of heel-toe stepdance called ‘Clogging’. The origins of clogging are obscure, but one explanation is that the woodsmen of Quebec couldn’t carry pianos with them to accompany their fiddles, so they kept time with their feet, made nimble by bush and river. If you are lucky enough, you may find an old 78 rpm recording of ‘Le bonhomme et la bonne femme’ sung by the Grande Dame of Quebecois comic song La Bolduc. Newfoundland: The Lonesome Scenes of Winter (Celtic Air) - many beautiful Celtic airs still tremble on the strings of Maritime fiddlers. One of the finest is The Lonesome Scenes of Winter which evokes the mystic mood that sometimes settles like the early morning fog upon a Newfoundland harbour. Here the violin sings, and its song goes far beyond what words can ever convey. Nova Scotia: Fisher’s Hornpipe (sailor’s dance) - Fisher’s Hornpipe is a well known Scottish version of the Irish Hornpipe. A dance popular with sea-faring men throughout the British Isles and North America. It can be played as easily on a harmonica, tin whistle or concertina, as on a fiddle. The higher the spirits, the faster it’s played. Each change of key calls a new dancer to come forward on the deck and outdo the others in fancy footwork and comic display. Nationwide: ‘Canadian Breakdown’ to Ste Anne’s Reel (square dance) - at any gathering of country folk musicians in Canada, the chances are that fiddlers, banjo and guitar pickers, piano players and dancers will all join together to shake the rafters with the Ste Anne’s Reel. In The Great Canadian Fiddle, this three hundred year old Scottish tune remains forever young. Here, Graham’s father 76 year old Fred Townsend, brings The Ste Anne’s Reel to a climax in an inspired performance of a classic Canadian square dance called The Canadian Breakdown. Dedication: Country Canada - It’s thanks to the Townsend family that we discovered the world of the Canadian country fiddle. We have traveled with Graham and Eleanor to countless fiddle contests, dances and concerts, and on the way we met the good people of rural Canada for whom we wrote this song. “The best damn fiddler in Canada” - that’s how fiddle contest regulars describe Graham Townsend, a winner of so many championships that he no longer competes, appearing now at contests as a featured guest performer who inspires new contenders to do their best for Canada’s great folk art. Graham was only nine years old when he won his first Canadian National Exhibition championship at Toronto in 1951. Now thirty-four, he’s won Shelburne, Ontario, four times (1963, 68, 69 and 70); recorded twenty-six albums; toured Canada and Europe; performed for Queen Elizabeth and Prince Philip on Parliament Hill in 1967; and appeared regularly on national TV with the late Don Messer, who once wrote these words about Graham: “One of the most talented and distinctive performers is the one only Graham Townsend, many times over the undisputed Fiddle Champion of North America... His interpretations of the Old Tyme Melodies by far exceed those of any other player in this category.” Graham’s knowledge of folk fiddle styles is immense; this record library of fiddle music holds over 800 albums. “We could make such beautiful music together,” said Graham when he proposed to Eleanor. That was not a line. 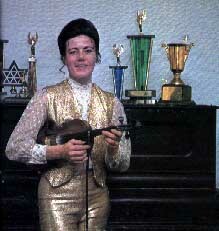 The former Eleanor Moorehead of Dungannon, Ontario, had firmly established herself as the champion woman fiddler of Canada, having won that title at Shelburne in 1967, 69, 70 and 74. 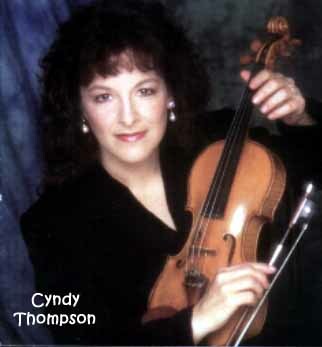 In 1975 she was the first woman ever to break into the top three fiddlers in the all-male “open class” placing second. She is also internationally recognized as the featured fiddler on Maple Sugar: Songs of Early Canada, an album of Canadian folk music now being used by all Canadian embassies and outposts to spread awareness of Canadian folk culture throughout the world. Her two solo albums are Eleanor Moorehead and Mrs Country Fiddle. On The Great Canadian Fiddle, Eleanor and Graham present their first joint recording and prove just how right Graham was. The champion male and female fiddlers of Canada demonstrate here the music of their marriage as well as their country heritage. Another evidence of this music is one-year old Graham Fred Townsend, Jr.
One Sunday, young Graham was driving in Quebec from Wolf Lake to Quyon with his father Fred, and Ottawa Valley stepdancers, George McKenny and Andy Dougherty. The car broke down, so naturally they put a plywood board on the roadside, and everyone took turns stepdancing. Graham fiddling away while Fred played the harmonica. Soon traffic was backed up for miles. People left their cars to join the fun, along with some provincial police who happened to be fiddle freaks. Nobody liked the fellow who finally got the car working again. This wonderful man has two flying machines to wing him across Canada - a four-seater Cessna and a Gibson tenor banjo. Thousands of Canadians who can’t fit into the plane join the banjo trip by listening to his records and watching him perform on television. In gratitude, they have crowned him “King of the Banjo.” With three gold albums to his credit, Maurice is known everywhere - not only in Canada, but in the United States and Australia. Working with performers like Tommy Hunter, Hank Snow, Arthur Godfrey, Lawrence Welk, Don Messer and Gordie Tapp, he has firmly established his royal claim. In fact, there’s hardly a country show on television or radio that hasn’t been charged by the electricity of his astonishing banjo picking. The word for Maurice is joie-de-vivre, a quality which radiates from his personality as well as his magic fingers. It comes to him naturally. He’s a true Acadian, born Maurice Beaulieu in Edmundston, New Brunswick in 1920. He began playing piano at three and by eighteen he had mastered the piano, violin, guitar, bass, accordion, mandolin and harmonica. But these were flirtations. True love came when he found the banjo. We are honoured to have the King of the Banjo join the King and Queen of Fiddle and the Ace of Square Dance Callers, in helping us introduce the distinctive styles of Canadian fiddle music to the world. Folksinger, educator and record producer, Dorothy Hogan works full-time for the cause of Canadian folk music. Her crusade began at the University of Guelph where she produced the double-record album, Maple Sugar: Songs of Early Canada, a community effort of teachers, students, and townspeople to make our old folk songs come alive again for Canadians of every age and region. The album won such critical acclaim that she organized a touring group - called Maple Sugar of course - to help Canadian schools and communities celebrate our national folk music at workshops, concerts and dances. Then she discovered an amazing fact. During her travels with Maple Sugar, through rural Canada, she found that a marvelously vital folk music was alive and growing there. But nobody seemed to recognize it was true folk music. Country people just called it ‘old tyme fiddle’. She decided to help Canadians see that for years they’ve had a cultural treasure right in their own back yard and never realized it. The result is The Great Canadian Fiddle, the first attempt to give the Canadian fiddle the recognition that it so richly deserves. Produced by Graham Townsend; Recorded before a live audience in Barre Vermont by South Road Recording, September 26th, 1981. Mixed and edited at King Sound, Wingham, Ontario. Cover photo by Camille Dubois, Burlington, Vermont. I would like to thank all members of the Northeast Fiddlers Association for helping to make this record possible. Late in 2003, Gray Townsend made available to us a number of reel to reel tapes of material that Graham and Eleanor had taped on various occasions that were never released before. When we listened to some of this material we became quite excited as there was so much variety on these tapes that showed the talents of these artists to an extent that never seemed obvious before. For example, the songs sung here by Eleanor reveal an excellent voice not unlike the great Anne Murray, on songs she had written and taped as a demo to try to create some interest in the songs. And the flat-top guitar work of Graham to back her up is something else. Besides the regular fiddle tunes, there are some examples of the swing music Graham loved to play. It shows the willingness of Graham to sit down with anybody and play a few tunes. Graham used to say that he could always learn something new from anybody he played with. A bit of unusual material is the Brain Cloudy Blues as sung by the late Rick Fielding at CIUT Radio in an impromptu performance. There are some slight glitches where there was a drop-out on the original reel to reel tape that could not be fixed. We left these in because we felt these performances were too historically important to lose them. Music was the life-blood of these artists and this is certainly a tribute to their unparalleled mastery of this genre. Wally Traugott, a native of Kitchener, Ontario, was trained on the violin for years by popular teacher Rudy Roth. But fiddling came easy to Wally who had perfect pitch as well as complete retention of any tune he heard. Apparently the perfect pitch was rampant in the Traugott family. Wally's older brother Erich went on to be the top trumpeter in Toronto musical circles where his talents were elicited for a major number of recordings to come out of that city, and here was young Wally in the country field with the same awesome talent. Today he's considered the finest fiddler ever to come out of Canada. 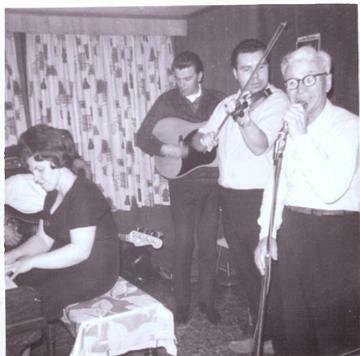 Still in his teens, Wally was drafted by the new Main Street Jamboree in 1953 to be part of the Mainstreeters with Roly D'Eon, Lloyd Bank, Eddy Preston and Maurice Bolyer. From there it was a natural progression to join Tommy Hunter on CBC radio and a regular spot on Country Hoedown. Eventually, Wally became disenchanted with the Canadian country music scene and relocated to California where he gave up his fiddle and went to work for Capitol Records in mastering and engineering on may Capitol cuts as well as for outside people who came in to use Capitol facilities. He became known as one of the best in his trade. But I can't help feeling the great loss when Wally Traugott put his fiddle down. Produced by Dominique et Réal Tremblay; Ingénieur du son: Guy Chabonneau; enregistrement a été réalisé le 10 juillet 1977 à l'occasion de la soirée de clôture du Marché des Artisans de Val-David. When I first met Jacinthe Trudeau, I knew immediately I'd be working with a warm, honest, positive, sweet, uncomplicated person. On first hearing her 'demo', I knew I'd be working with a masterful musician with a thorough understanding of her instrument. But it wasn't until I encouraged her to compose the remaining nine of twelve original gems on this album, a feat that took her a mere ten days to accomplish, that I realized the incredible creative power I had the pleasure to work with. There doesn't seem to be a musical style with which Jacinthe doesn't feel at home. I think this body of work will attest to her great versatility and musical sensitivity. In this her first album (hard to believe!) she takes us on a journey around the world. Couers de loups is a reflection of the pride and spirit of survival of the First Nations found in Northern Ontario, with a little of our northern soundscape and South American influences thrown in. We then cross the ocean and visit the U.K. with the Irish influenced Green Fiddle and the Scottish / African fusion found in L'Ecossaise en Afrique. Echo takes us to Spain and Saudi Arabia with a little North American thrown in for good measure. A quick historic stop with Hommage a Stephane takes us to France in the 1930's before heading back to the U.S. where we visit Louisiana (Lafayette Two-Step and Je t'aime / I Love You too), Kentucky (Frets on the Fiddle) and the central prairies (Forget-Me-Not). With Steppin' Out, she brings us to the fiddle / stepdancing competitions so common in Canada and the States. Rendez-vous explores the world of multiple fiddles, and her parting piece Berceuse speaks to the child in all of us. If you enjoy listening to Jacinthe half as much as I enjoyed working on this project, it might be wise to buy a few copies of this album so that you can replace them as you wear them out. My love affair with music began the very first time a small violin was placed in my hands by an excellent teacher. I was six years old at the time. As time went by, my interest in fiddle music slowly grew to encompass not only the violin and fiddle styles I heard in my hometown, such as Classical, French Canadian, Meets and Irish fiddling, but also those from other parts of the globe. I think this album clearly echoes those influences. I sincerely hope you enjoy listening to this album as much as I enjoyed recording it, because it is for each and every on of you. This album is dedicated to two very special people: Papa et Mama. I would like to thank all my fiddle fans, old and new. Your support and kindness gave me the courage to make this album. My sincerest thanks to all the people who have made this recording possible. Thank you to each and every musician. I feel quite privileged to have worked with such skilled individuals. you've all helped to make my music come alive. The producer of this project, Daniel Bedard, has been a great guy to work with and I'd like to thank him for bringing out the best in me and enhancing what I do. If this album sounds as good as it does, it's because of 'Shawn Pitzel's dedication and great ears. I consider myself lucky to have great teachers and friends, and above all a loving family. Special thanks to my sister Jocelyne, my brother Pierre and my boyfriend Guy Seguin for their never ending love and support. To my parents, Lionel and Lorraine Trudeau, there are no words great enough to express my appreciation for all you do for me. I am who I am because of both of you! Also, to my grand-parents, uncles, aunts, and cousins. YOU ARE ALL HEROES TO ME! To all the great fiddlers past and present, thanks for the music and the inspiration. Thanks to the Noelville Knights of Columbus for all their support. Finally, thank you Lord for giving me the gift of music.